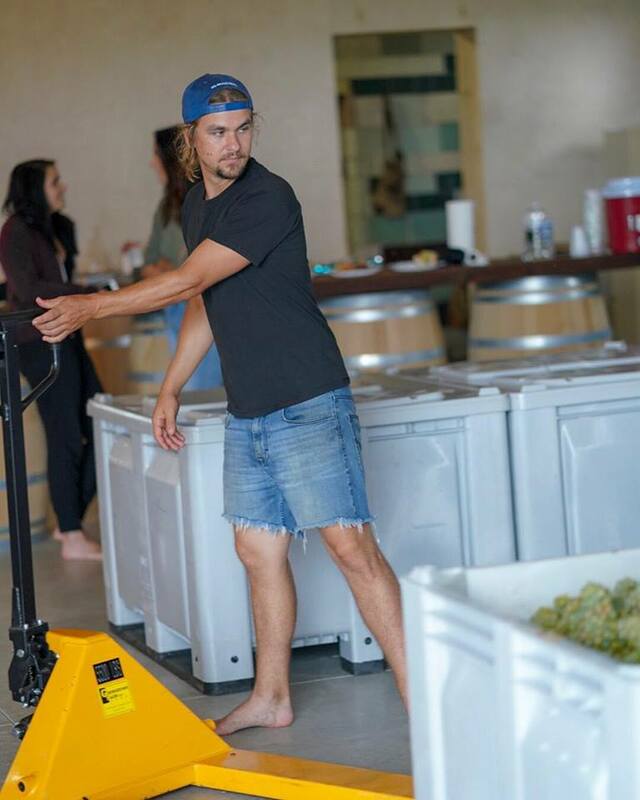 Zachary Wilson, Founder of Wilson Vineyard and WAYVINE winery & vineyard, is a different breed of working man. Zach jumped into the industry at age 19 while attending Pennsylvania State University for Agricultural Business. He instantly found his love and passion in and has yet to look back. Growing up on the farm, Zach has followed in his father’s footsteps with an unbelievable work ethic. Zach believes in hard work, innovation, attention to detail and keeping things simple. Take a trip to WAYVINE and you will be awestruck with what Zach has created, even at the vineyard’s early, embryonic stages. Zach keeps himself busy, always planning for what’s next, all the while never sacrificing quality. In the rare chance you catch Zach during his down time, take advantage of his never-ending knowledge and passion for his product. Ask Zach and he will tell you the vineyard is his proudest achievement. Ask Dave and Nancy and they will tell you Zach and James are theirs. So If you're looking for someone to blame, then you should find Dave and Nancy. If Nancy isn't behind the tasting counter and Dave isn't maintaining the grapevines, then they will most likely be on "quality control" duty. I can promise you this, they want nothing more than for you to visit, enjoy, and help continue to make the vineyard a spectacular success. They are the backbone of the vineyard and winery and really the whole Wilson family. We couldn’t do it without them. Dan has been a special part of our family since day one. He grew up side by side with Zach. After graduating from Penn State University and traveling around the country for a few years, he found himself back at the farm. 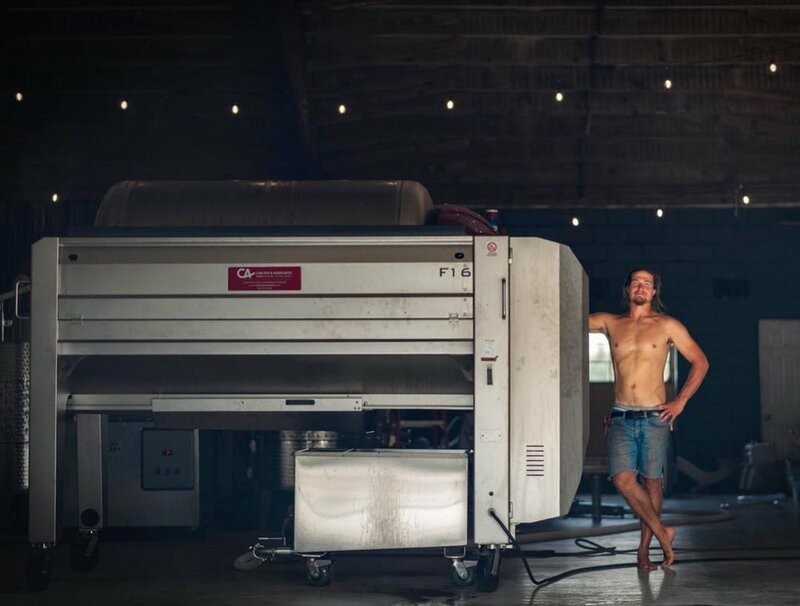 Dan assists with the day to day operations of the vineyard, while working a regular job, and practically runs the crushpad every year during harvest. He also helps balance out our work, so we can sometimes kick back and relax a little. Spencer is one of the cousins. He too grew up with the boys and after living in California for a few years, moved back to PA. Spencer has faithfully been coming down from Philadelphia every weekend for the past few years to help out with operations here on the farm. He quickly found a passion in keeping the farm looking nice, and became the head groundskeeper. His pup Tato is usually around, even on the mower. Sally is Dave’s sister and Dan’s mom. She started Wilson Vineyard Art Gallery the first year we opened to the public. She helps run the winery when we are open, and has rotating local artists featured every month, and of course her own work. 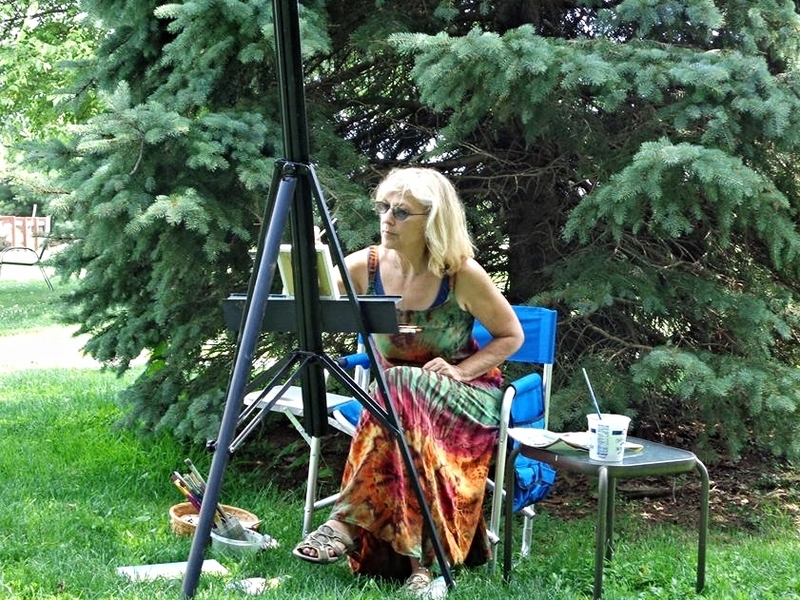 She also sells other local artisan products and does painting classes out of the gallery. You can find out more here. Mellow like a bottle of Merlot. If there was competition for the laziest dog, Eva would win MVP.